Why hello, what a nice way to start July off with a high end foundation review. 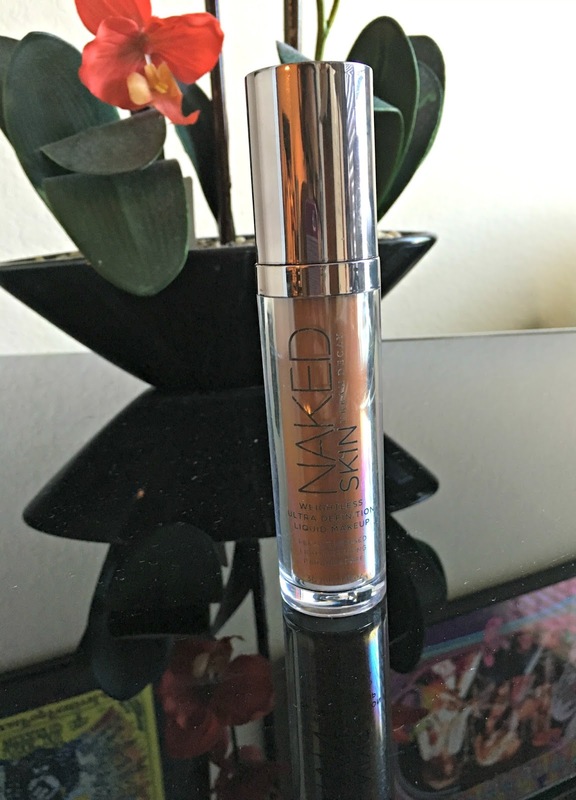 I was introduced to the UD foundation by my friend Narda back in October of last year – I believe-. She was telling me all these amazing things about it and even had me touch her face after she applied it once- true story-. At first, I was hesitant to buy it because of the price and I sat in Sephora and wondered if it was really worth buying especially if I didn’t like it or didn't use it as often as I thought I would. Obviously, I ended up buying it and I finally decided to write a full review after months of using it constantly. 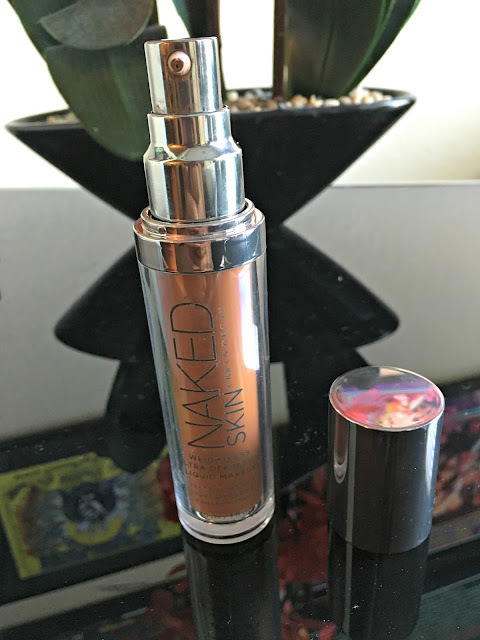 The packaging is really cool it’s a long bottle that has a reflective cap and pump –I’ve never seen a foundation made like this before-. Since it is a little bigger than a usually foundation it does take up a bit more space in my makeup bags and storage drawers. The product last longer than you think it would, especially seeing I use it quite often, I have yet to run out of it… but then again it was $40 so there should be enough of the product to last me a while. Also, when I looked up the foundation just in case I needed to order more I found out it’s a Vegan foundation which is pretty cool. 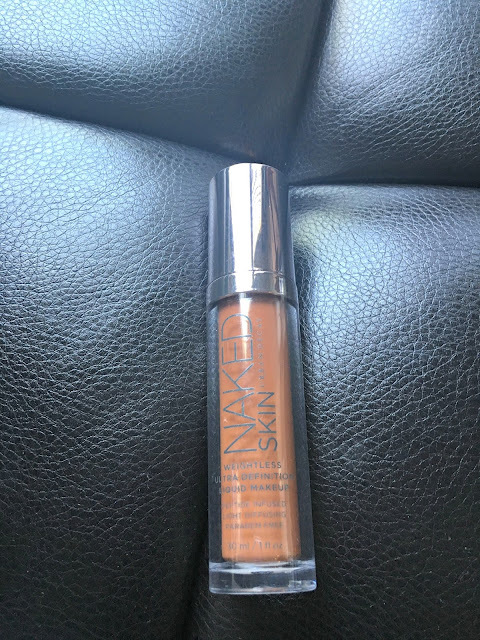 I purchased this in a shade 10 which is a perfect match to my skin tone and when I blend it in with a brush or a sponge it gives a nice subtle glow to your face and it feels like I’m not wearing any foundation at all which is something I’m big on. It does have a buildable coverage so I usually use one pump, and every so often two if I’m having a really bad skin day. Speaking of bad skin days the only disappointing thing I have to say about the foundation is that it doesn’t cover all of spots on your face when you do build the coverage but it does slightly cover them… if that makes any sense. This is a nice foundation that I would truly recommend using especially if you’re looking for a weightless foundation that last all day. As I said before this is an awesome foundation especially for those who don’t like the feel of having foundation on. Personally, I am going to be ordering another bottle or two soon so I won’t run out. Sending you peace, love and happiness.